If you’re happy to embrace the limitations and opportunities attached to the smaller form-factor, the Hades Canyon is a phenomenally compelling package. Like the best kinds of products, Intel’s NUCs (short for ‘next unit of computing’) initiative started as a cool idea. 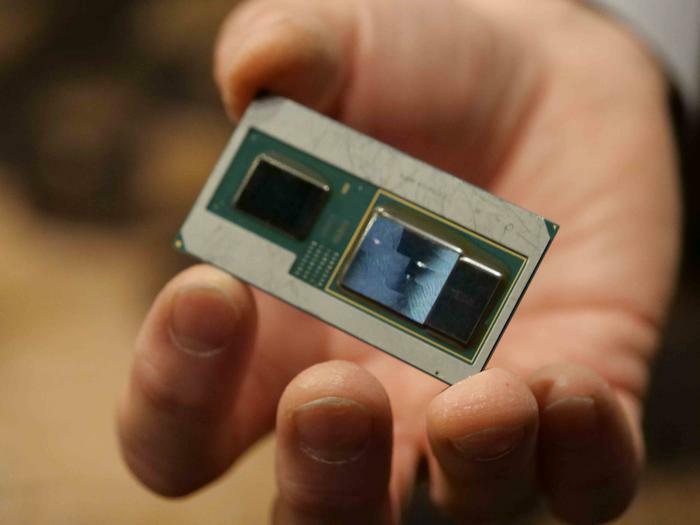 Take all the advances that Intel have made when it comes miniaturized computing and leverage them to erode the idea that powerful PCs have to be tied to a larger physical form-factor. With the new Hades Canyon NUC, that idea reaches a new milestone for maturity. Billed as Intel’s first VR-ready NUC and incorporating AMD Vega graphics, the Hades Canyon is a genuinely-astonishing piece of computing that earns the rare title of game-changer. Sure, the price and techy-know-how involved will likely stop the Hades Canyon short of finding enormous success in a more-mainstream sense but, with a form-factor that’s only slightly-larger than that of a Nintendo Switch, Intel have assembled an admirably-adept gaming PC that’s really compelling, both to behold and to use. 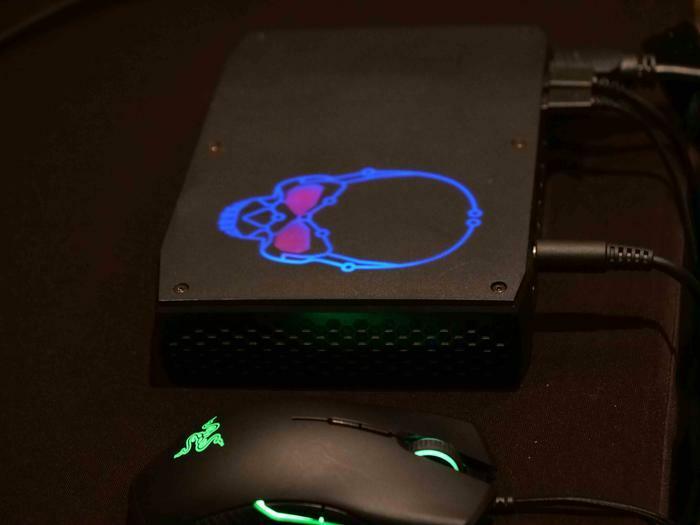 In terms of design, the Hades Canyon NUC is a neat-and-tidy evolution on the previous Skull Canyon gaming NUC. 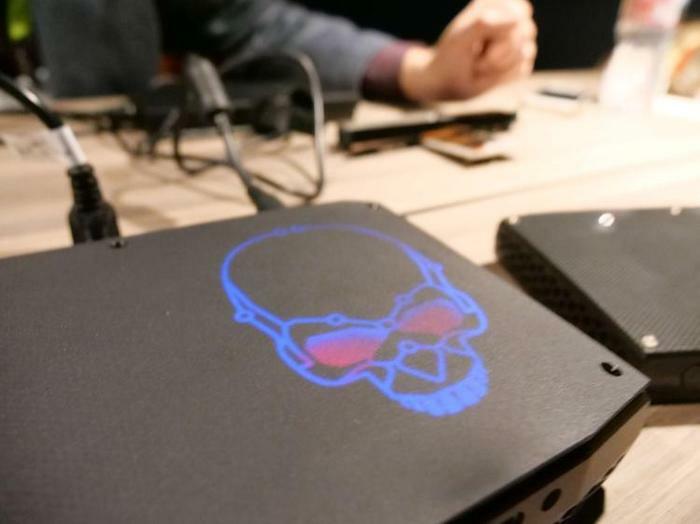 The biggest change here is that the Hades opts for a cleaner, slightly-translucent top cover with a backlight illumination sketching out the NUC’s trademark skull iconography. There’s not a huge amount to write home about there but Intel have packed a ton of options into an incredibly small form-factor. There’s more ports than you’ll find on some fully-fledged desktop PCs here. Yes, the Hades Canyon NUC could probably stand to feature a few more USB ports, it features a more-or-less adequate selection given its small size. And size really is the defining quality here. Modern PCs come in all shapes and sizes but in all my years of PC gaming I’ve yet to find a gaming PC that packs quite this much punch into such a small form-factor as the Intel Hades Canyon does. It's the first Intel NUC to feature integrated but dedicated Radeon RX Vega M graphics but it's not any bulkier for it. Of course, all those gains would be nothing if the Hades Canyon didn’t have the performance to match it - and it does. The numbers I got out of this thing when it came to benchmarking managed to easily-eclipse more than a few of the gaming laptops and desktops I’ve reviewed in recent months. It didn’t quite manage to beat out the beefiest of those (like the MSI GE73 VR Raider or Dell’s Inspiron Gaming PC) but the bang-for-your-buck offered by the Hades Canyon is still pretty considerable. It’s more of a laptop-class gaming experience than a desktop-one, but if you’re looking for alternatives playing in the same weight class as this NUC, you’ll struggle to find any. 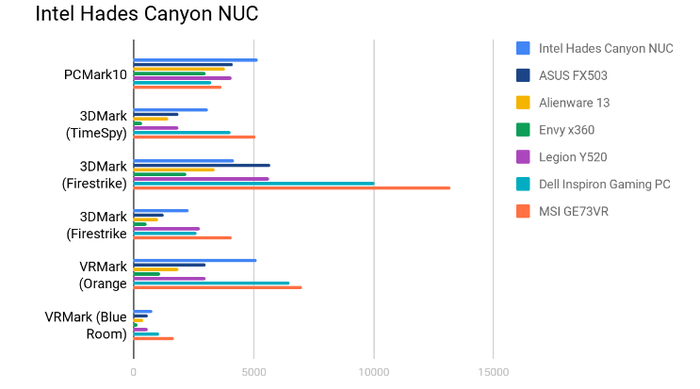 And pretty much no matter what I threw at it, the Hades Canyon NUC held up under the pressure and delivered on its end of the bargain. I cranked the lush landscapes of The Witcher 3 up to ultra and it was still pretty playable here. Revisiting Kingdom Come: Deliverance was a little more uneven but not necessarily all that more uneven than it would be on a more powerful system - given the game’s technical problems. If you’re looking for a PC that can run every game out there on the highest settings, the Hades Canyon isn’t that. However, if the kind of user who is willing to mess with the settings and doesn’t mind sacrificing a few graphical bells and whistles, this is an ultra-slim gaming PC that I found more than capable of running everything I needed it to. As for how VR-ready this thing is, I spun up HTC’s new Vive Pro headset to find out and, while the benchmarks indicate Hades Canyon can technically deliver a mostly-serviceable VR experience, the reality was far from seamless. Things were more-or-less playable but our mileage here was definitely impacted by the limited number of ports on the unit. For the Vive specifically, this proved a massive issue as the headset itself requires a DisplayPort output - which the Hades Canyon lack. If you’re an Oculus owner you’ll have more luck but it’s a downside that a NUC billed as VR-ready isn’t readily-equipped to handle what is considered the world’s most popular dedicated VR headset. Even with these VR-adjacent caveats, I still wouldn’t hesitate to call out Intel’s Hades Canyon NUC as a genuinely astonishing piece of tech. If you’re the kind of PC enthusiast who delights in building the most powerful rig you can, this is probably not the product for you. However, if you’re happy to embrace the limitations and opportunities attached to the smaller form-factor, the Hades Canyon is a phenomenally cool product. Where previous NUCs felt experimental, this feels like one that you might actually want to seriously think about buying.